Super-car-driver-idiots-crash-compilation-1-new-2013-in-hd-720p Subscribe for the video of cars, rally cars, bikes, motorcycles, scooters and more around the world. Driver takes revenge: He passes another car and .. 3 police owned by a street racer! 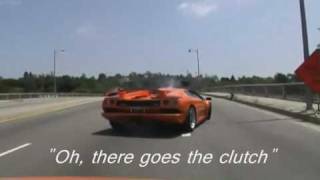 Super car driver idiots Crash Compilation #1 New 2013 In Hd (720p) Subscribe for the video of cars, rally cars, bikes, motorcycles, scooters and more around the world.